The Cornish Gouda Company has won Ignite 2013 – one of Europe’s biggest business start-up competitions – after scooping the coveted £120k prize fund at the Grand Final at Pendennis Castle last night (November 14). Giel Spierings started Cornish Gouda C. in Lanreath, south east Cornwall, less than a year ago and the business has already boomed, selling £70k of cheese in the first 10 months of trading between December 2012 and September 2013. The cheeses are manufactured and sold solely by Spierings and are already being supplied to the Eden Project and a number of Cornish distributers, but the young company is keen to capitalise on demand and expand to become the recognised brand in the UK for premium Gouda. Spierings’ business plan so impressed the judges of Ignite 2013, organised by Oxford Innovation, that he was chosen as the winner of a prize fund worth more than £120k, including £25k in cash and a comprehensive package of support from well-established Cornish companies who contribute everything from product design to legal advice. The judges – a panel of more than 20 experienced business leaders in Cornwall chaired by John Stewart of World’s Apart – narrowed down dozens of applicants to a shortlist of eight before selecting the winner. Stewart said: “Giel is a true entrepreneur and I rarely meet someone with such passion, dedication, determination and the ability to succeed. He is a true inspiration. 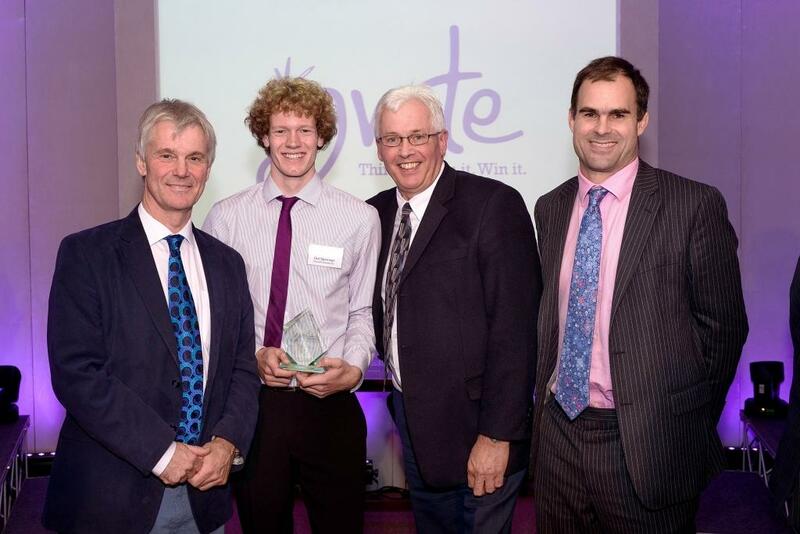 “There were many great business plans submitted by the finalists but we felt Giel was the clear winner given what he has achieved by the age of just 21, and what Cornish Gouda has the potential to achieve in the future. Ignite 2013 has been generously supported by sponsors including: Foot Anstey, Francis Clark, Jarrang (MailAway), Pirate FM, Sideways, Creative Edge, Stranger Collective, PFA Research, Cornwall Chamber of Commerce, The Vine, DCA Public Relations, Tremough Innovation Centre, Pool Innovation Centre, 3 White Hats, Business Cornwall, Tamar HR, Federation of Small Businesses, St Austell Printing Company, UKNetweb, Buff Industrial Design, NJ Akers, Export Cornwall and 3B International.